Cecilia G. Bikkal is an Associate at Bikkal & Associates where she practices Immigration and Nationality Law. Ms. Bikkal earned her JD from Pace University School of Law. 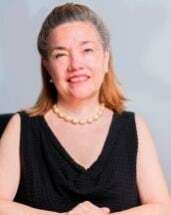 Before joining Silverman Bikkal and Sandberg LLP, Ms. Bikkal spent the previous twenty years in the world of technology where she was the Vice President and Chief Operating Officer of ImageWork Technologies Corp. She still serves as Counsel and is the Secretary of the Board of Directors. Ms. Bikkal has a history of civic involvement in the City of White Plains where she serves as the Chair of the Zoning Boards of Appeals. She is a founding member of the Hispanic Day Parade Committee LLC and the past Chair of the Records Advisory Council for Region 9. She served ten years as President of the Board of Directors of the Westchester Hispanic Coalition, Inc.
Ms. Bikkal is fluent in Spanish, Italian and French.